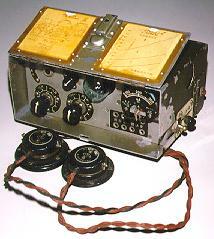 These keys were used by the Japanese and Chinese Armed Forces and by radio operators after the war. 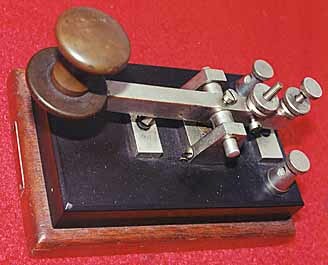 9625 JAPANESE SPARK KEY: (24KB) Very Similar to key number 9620 above. 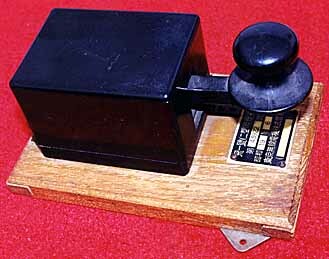 9630 JAPANESE MILITARY KEY FROM WW-2:(17KB) This is a Japanese Military Radio key from WW-2. 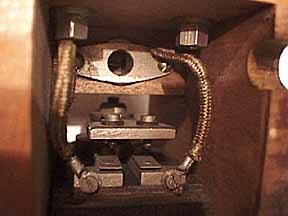 It has the classic straight lever design. 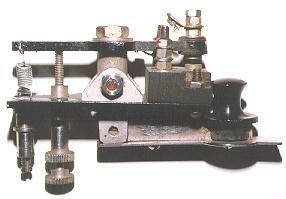 JAPANESE TELEGRAPH KEY FROM THE LATE 1930's:(15KB) This is another straight-lever Japanese radio key. 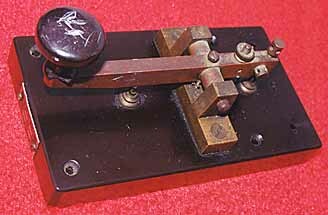 EARLY JAPANESE MILITARY KEY:(23KB) This key is very similar to number 9640 above. 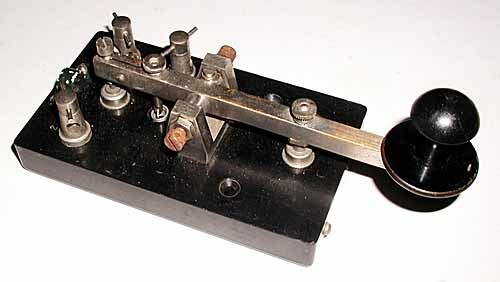 9650 CAPTURED MINIATURE JAPANESE KEYS:(14KB) This small key was brought back by a 24th Division Signal Company officer, Ed Shakalis (KD1BJ), who removed it from a captured Japanese command car in which it was being used on the Philippine island of Mindanao during WWII. 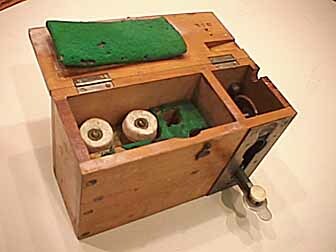 The key is enclosed in a black plastic cover and slides into a lead-weighted base that was screwed to a shelf on the back of the front seat of the command car. 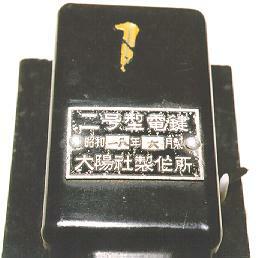 Another similar key is shown in the background with the elaborate Japanese label on top of the case. 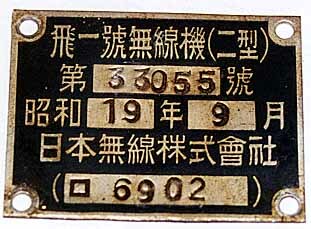 9651 CAPTURED MINIATURE JAPANESE KEY:(13KB) This view shows the elaborate identification label on top of the case. 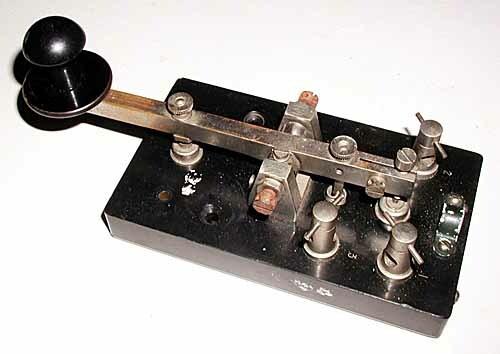 9660 CAPTURED JAPANESE WWII NAVY KEY: (39KB) Brought back from the Pacific Theatre after WWII. 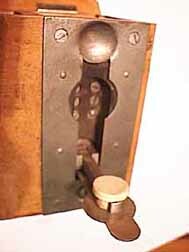 This key has both open and closed circuits. 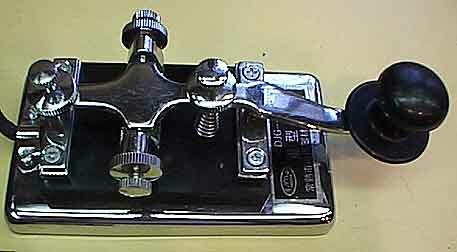 It is plated brass on a black base mounted on a metal bracket. 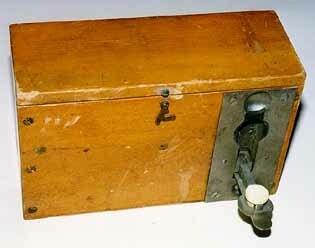 It is enclosed in the original wooden box with a sliding wooden cover which was apparently mounted to a radio or table by metal brackets which are part of the box. 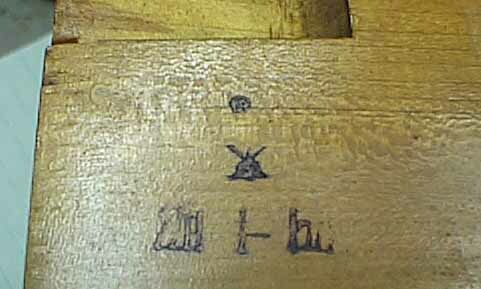 The writing on the bottom of the box says "electric button" in Japanese. 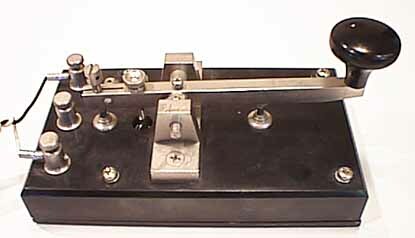 9665 JAPANESE WWII NAVY KEY: This key is very similar to the boxed key shown above. 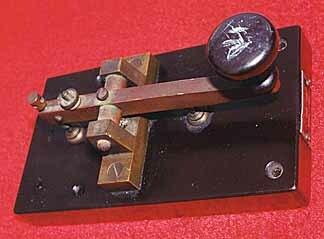 The difference, however is that this key carries a label written in Japanese and mounted on the metal base directly under the lever. 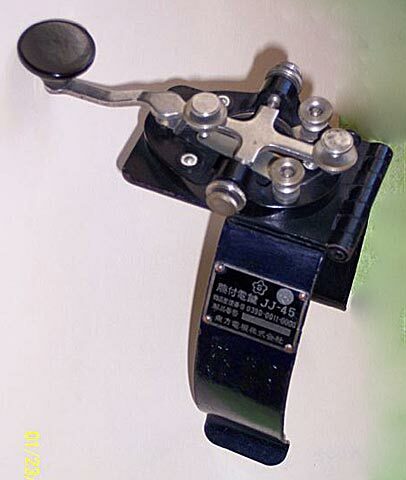 9670 JAPANESE AIRCRAFT KEY:(26KB) This small key was mounted on the side of the cockpit of Japanese "Zero" fighters used during World War II. 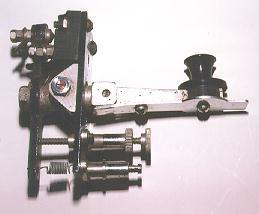 It is enclosed in its metal mounting bracket. 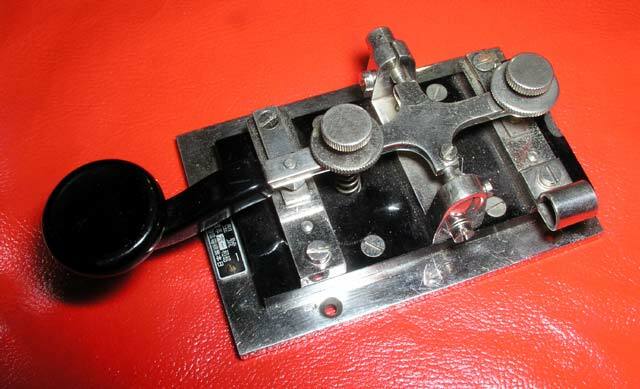 9672 * JJ-38 JAPANESE COPY OF A J-38 WORLD WAR II UNITED STATES MILITARY KEY:(21KB) At first glance, this key appears to be a standard World War II vintage J-38 United States Military Key. 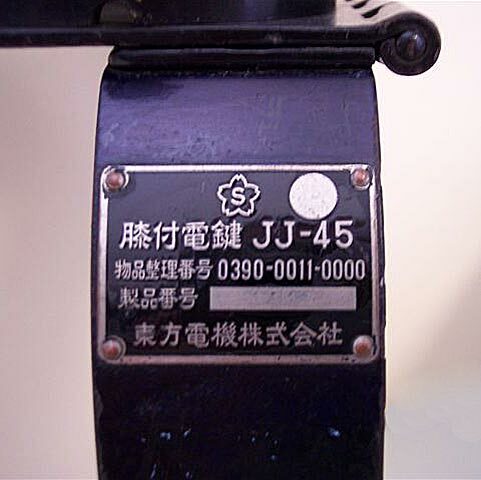 However, it is marked JJ-38 and the key mechanism is the familiar imported Japanese design with the ball-bearings at the end of the trunnion that has been widely distributed in this country since the 1960's. Tetsuo also tells me that the Cherry Blossom mark at the top of the label is used by the Japanese 'Self-Defense Force' (Army) and it shows that the key was made after WW-2 with license from the Signal Corps. 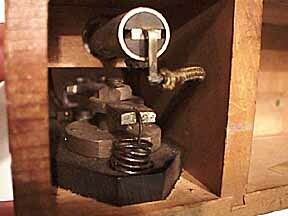 He does not know what the letter 'S' inside the Cherry Blossom stands for but he has seen the letters 'Q' and 'W' inside the Cherry Blossom and sent me an example of the Cherry Blossom 'W' mark stamped on the side of a pistol. 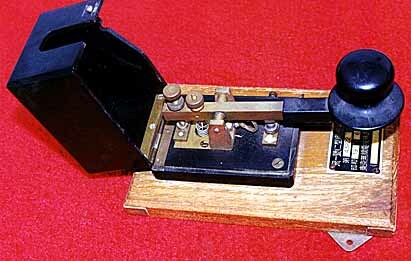 In addition, the actual key itself is marked JJ-37 in raised characters cast into the base in exactly the same place as the common American J-37 key. 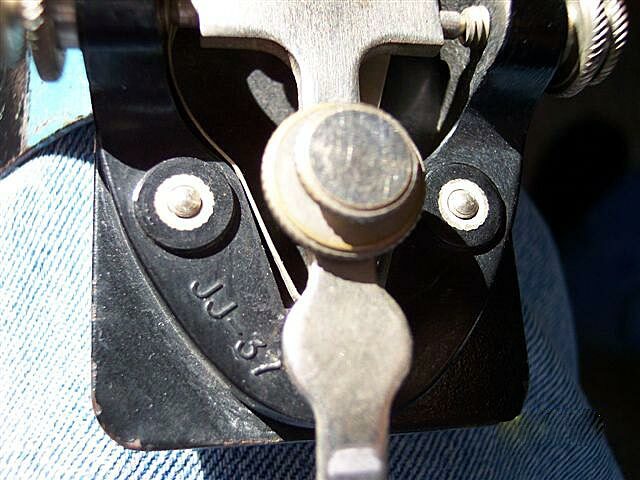 Another example of the JJ-37 key owned by Scott Hill, K6IX, has the words 'Soling Japan' moulded into the bottom of the base but this one does not carry that mark. It is unclear when this key was made. 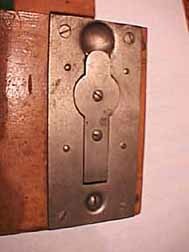 This key was origianlly found by Bill Gallier, W4WX who took these photos before I bought the key. 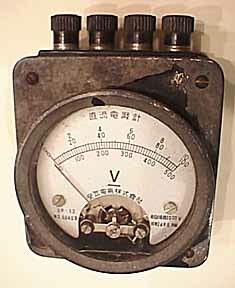 9679 * JAPANESE MULTIMETER FOR TELEGRAPH AND RADIO:(18KB) This meter has a number of scales for measuring voltage and current in the field. 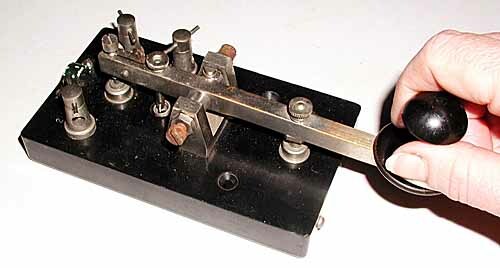 9680 JAPANESE RADIO KEY:(10KB) This tiny key was apparently mounted on the front of a radio set. 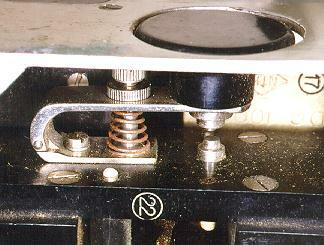 It was pulled down into this position to allow operation. 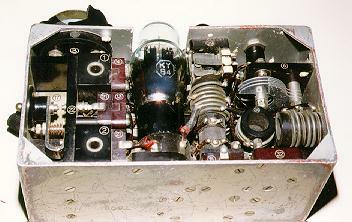 tiny 1 tube portable radio set:(16KB)That was brought back from the island of Mindanao in the Philippine Islands by a 24th Division Signal Company officer, Ed Shakalis, KD1BJ. 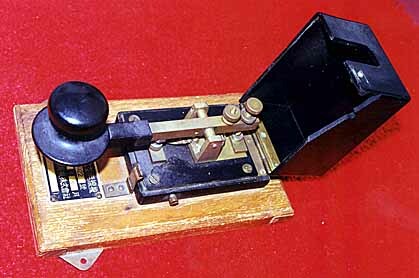 9687 * JAPANESE MINIATURE FOLDING KEY IN RADIO CONTROL BOX:(14KB) This tiny key folds into the control box for storage. 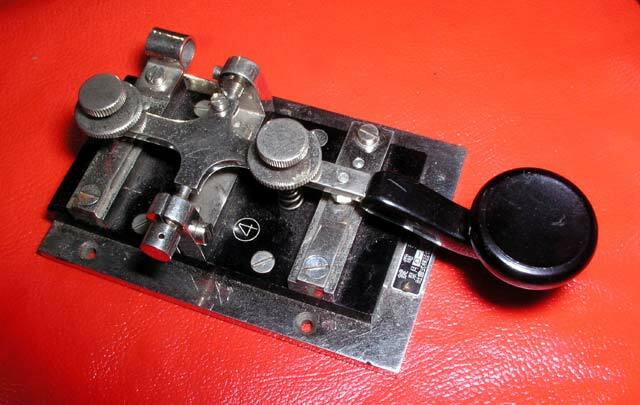 9689 * CURRENT JRC (JAPANESE RADIO CORP) RADIO KEY:(15KB) This key is very similar in design to the earliest Japanese Spark and wireless keys. 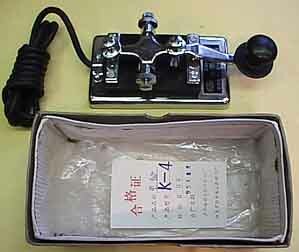 9690 CHINESE YUSHAN DJG-4 KEY:(21KB) This is a Chinese Radio Key produced in 1995.